Sign up to get on our mailing list and receive advance notice of the tour next year! 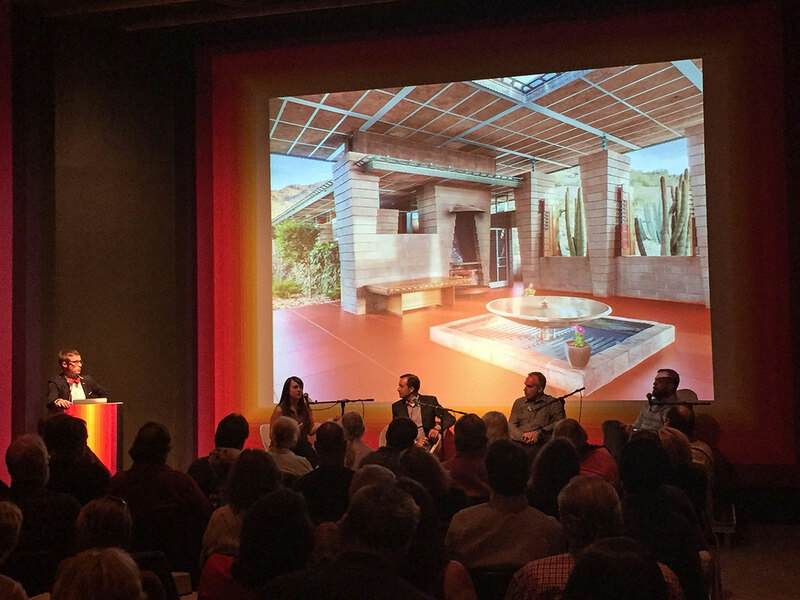 Four presentations during the Modern Marketplace @ SMoCA helped Phoenicians connect with their modern heritage. 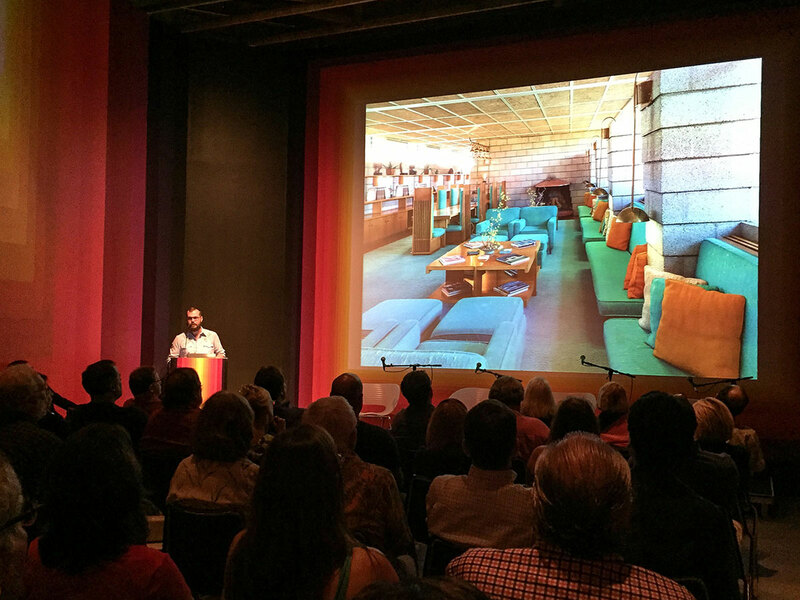 Conservation of Frank Lloyd Wright homes, development in the warehouse district, inspiration from Palm Springs and methods to research a midcentury property were featured. 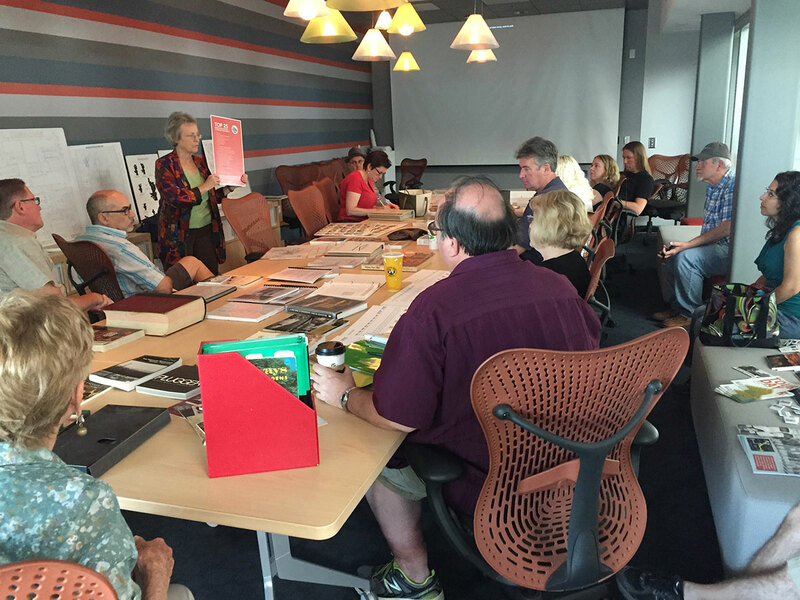 Sperry Hutchingson spoke about the Price House in Paradise Valley. 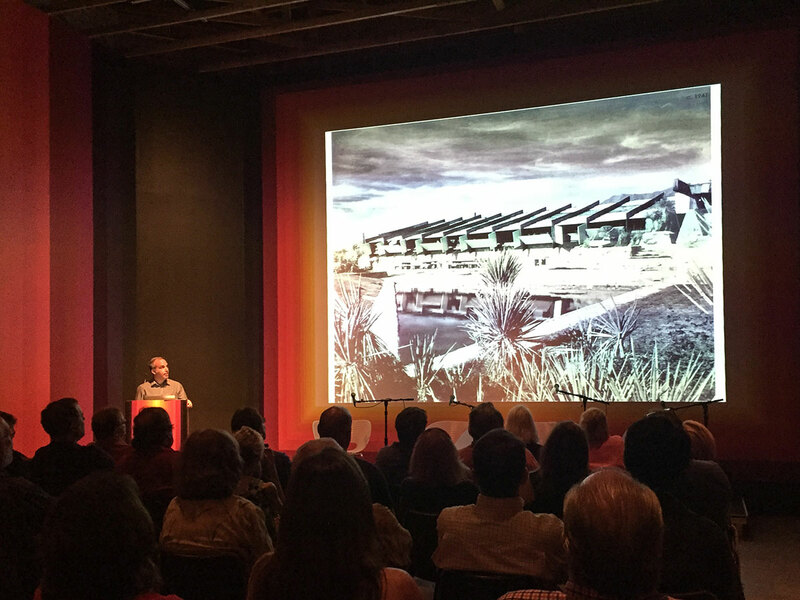 Fred Prozillo spoke about special restoration considerations at Taliesin West. 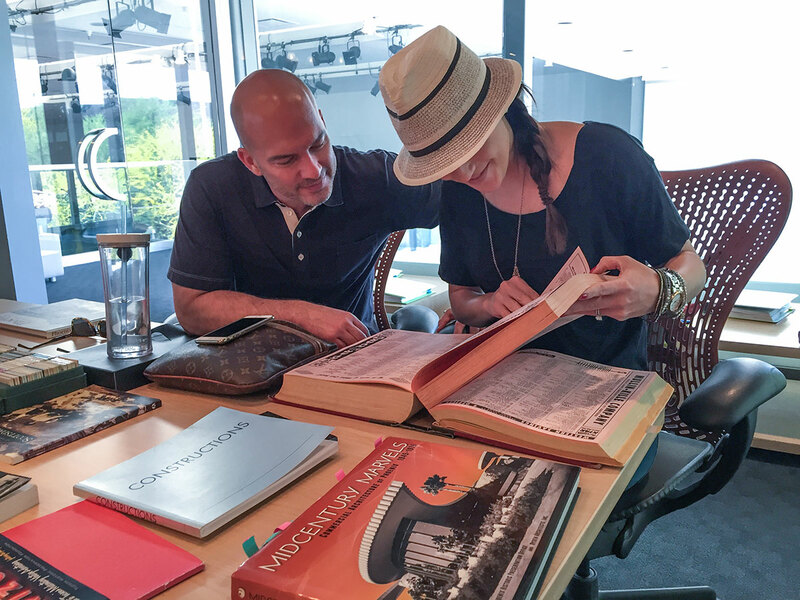 Sarah Wright Levi and Victor Sidy spoke on strategies to preserve and restore the David and Gladys Wright House. 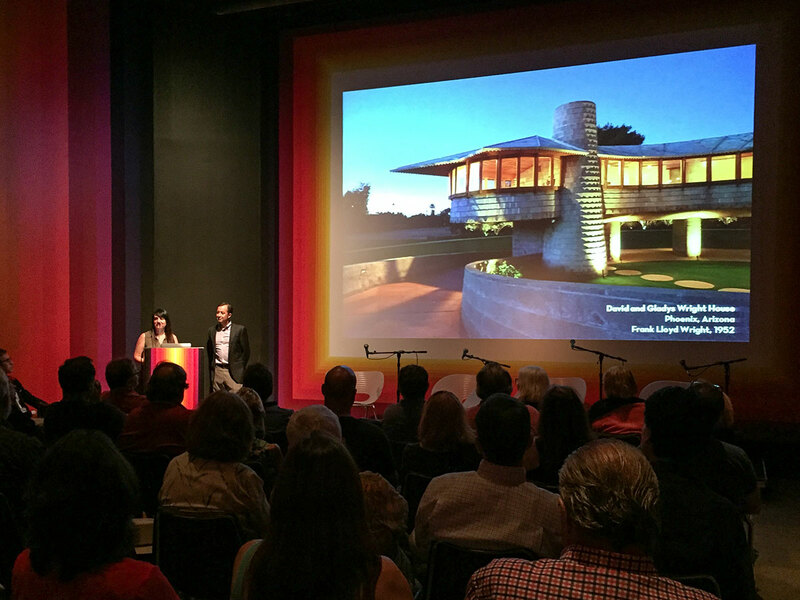 SMoCA Curator of Programming Peter Bugg faciliated a discussion among the three major stewards of Frank Lloyd Wright architecture in Arizona. 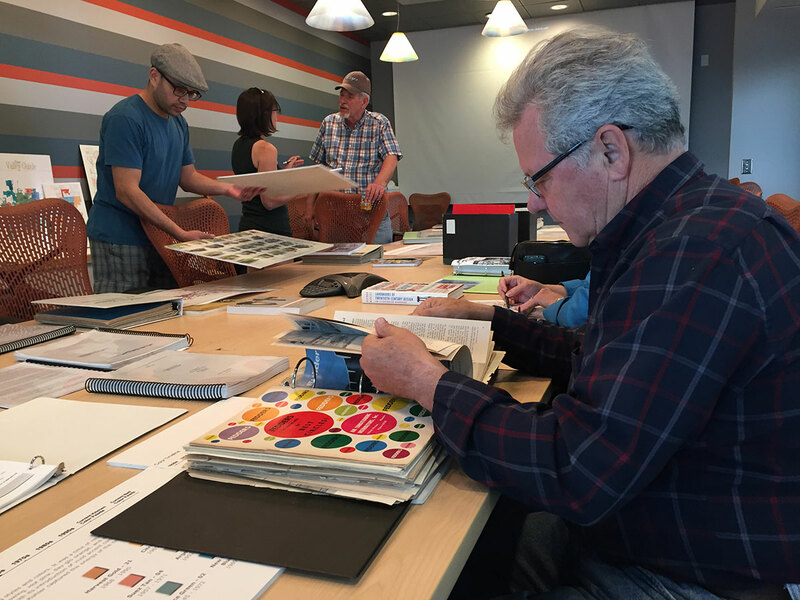 For more than 20 years, Michael Levine has acquired and renovated warehouses and other at-risk buildings in downtown Phoenix. 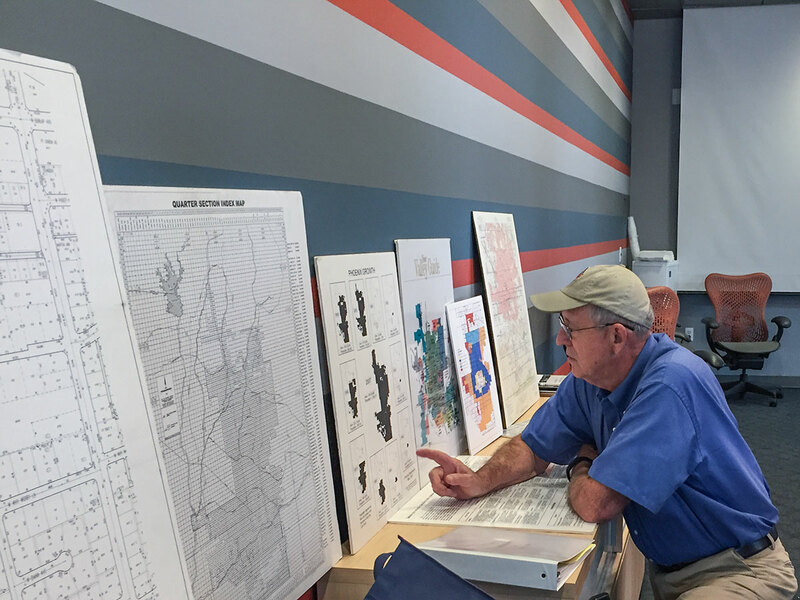 The buildings that currently house Bentley Projects, ASU’s School of Art Graduate Student Studios and the Duce were all brought to their current glory under Levine’s thoughtful attention to detail. 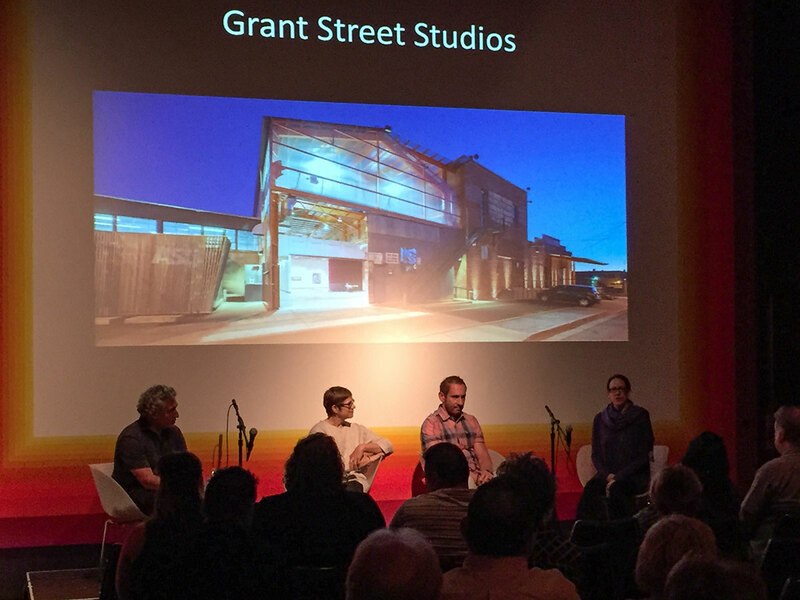 Michael and a panel of community members who work in the spaces today discussed the past, present, and future of Phoenix's vulnerable warehouse district. 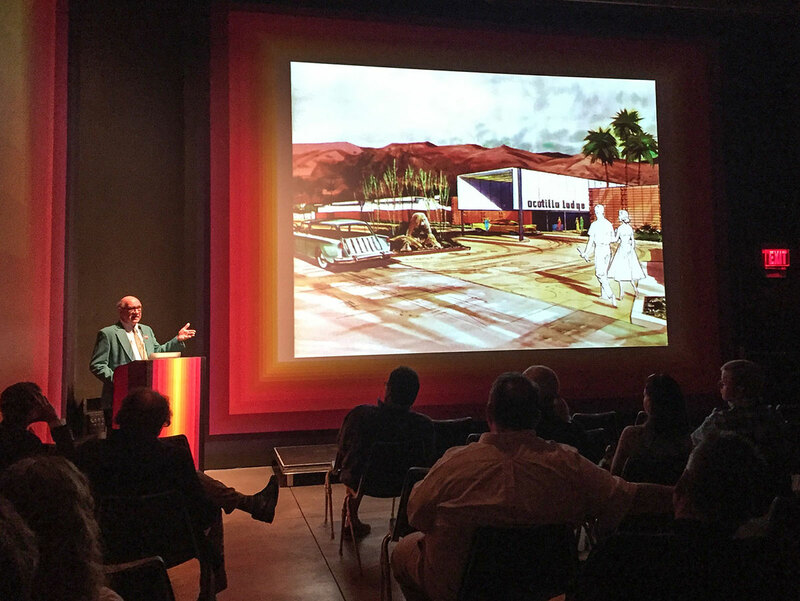 Palm Springs resident and active advocate for architectural preservation Robert Imber presented the keynote on Palm Springs architecture and the evolution of PS Modernism Week. 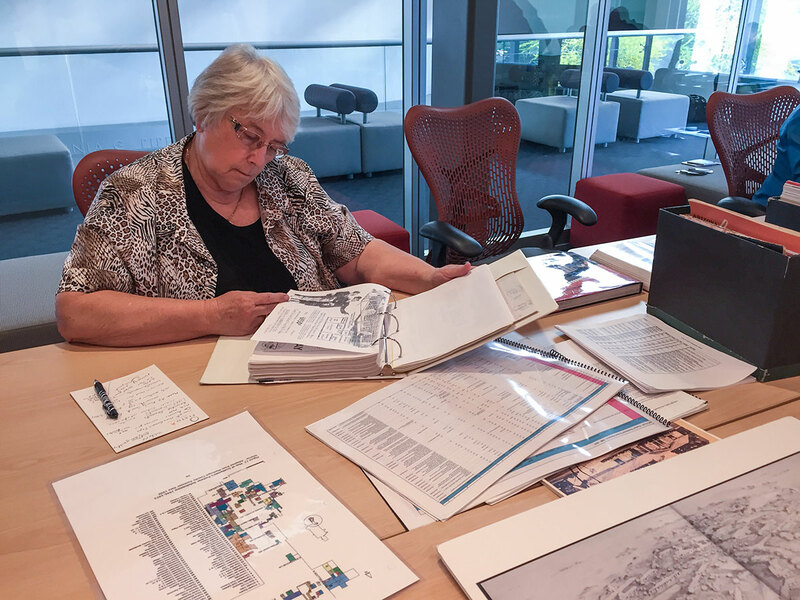 John Jacquemart and Donna Reiner of the Postwar Architecture Task Force of Greater Phoenix guided small groups through researching midcentury homes and neighborhoods using local resources and online databases. 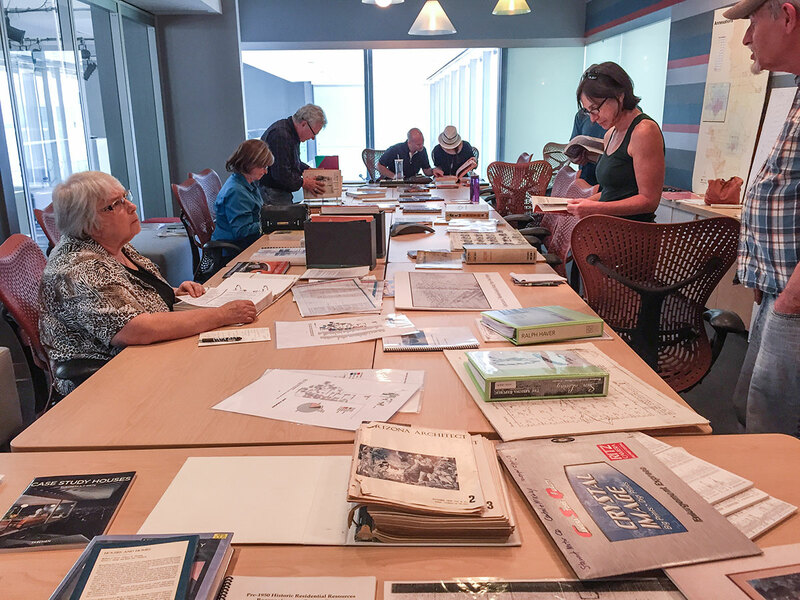 The workshop featured a portable pop-up library including the Modern Phoenix archives with vintage magazines and newspapers from the 50s and 60s, and John's personal collection of primary sources. 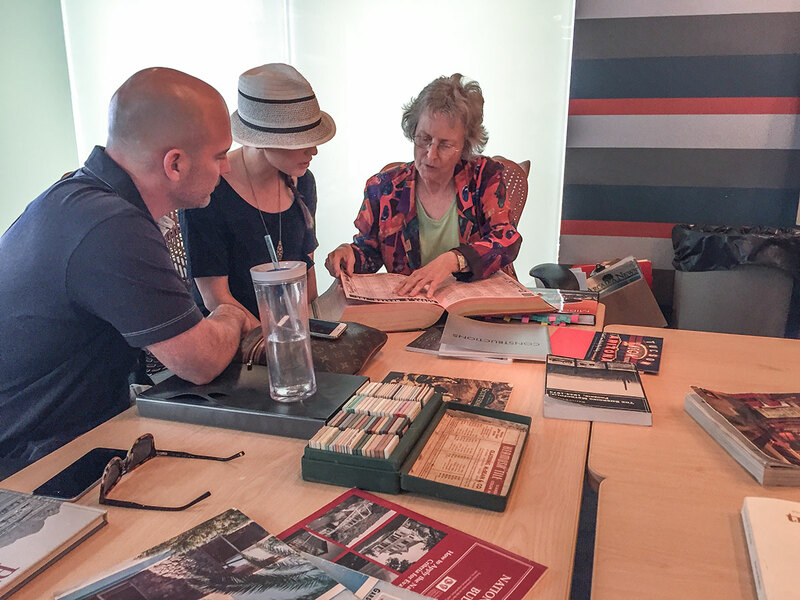 Guests were encouraged to browse the resources on their own or connect with a historian to help guide them through the process. Photos copyright 2016 Modern Phoenix LLC. All rights reserved.